Is the IPCC Government Approval Process Broken? The process of the government approval sessions was exceptionally frustrating, and the outcome of that process – the final SPM – was in some regards disappointing. Two weeks ago, immediately after returning from Berlin, I sent a letter to the Co-Chairs of Working Group III — Ottmar Edenhofer, Ramon Pichs-Madruga, and Youba Sokona — expressing my disappointment with the government approval process and its outcome in regard to the part of the assessment for which I had primary responsibility, SPM.5.2, International Cooperation. At the time, I did not release my letter publically, because I did not want to get in the way of the important messages that remained in the SPM and were receiving public attention through the Working Group III release. With two weeks having passed, it is now unlikely that the broader release of my letter will obscure the news surrounding the Working Group III release, and – importantly — it could be constructive to the process going forward, as the IPCC leadership and others think about the path ahead for future climate assessments. Rather than summarizing or annotating my letter, I believe it makes most sense simply to reproduce it, and let it stand – or fall – as originally written. It follows below. In September 2013, I stepped down from the team that prepared the draft of the Summary for Policy Makers to the Fifth Assessment Report (AR5) of Working Group II of the Intergovernmental Panel on Climate Change (IPCC). This attracted worldwide media attention in April 2014. Regrettably, the story of AR5 became the story of a man. 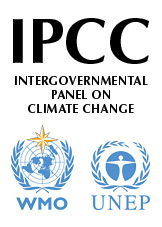 I have been involved with the IPCC since 1994, fulfilling a variety of roles in all three working groups. After the debacle of AR4 – where the Himalayan glacier melt really was the least of the errors – I had criticized the IPCC for faulty quality control. Noblesse oblige – I am the 20th most-cited climate scholar in the world – so I volunteered for AR5. The Irish government put my name forward only to withdraw its financial commitment when I was indeed elected. The necessary funding could have easily been freed up if the Irish delegation to the international climate negotiations and the IPCC would trim its luxurious travel arrangements. In the earlier drafts of the SPM, there was a key message that was new, snappy and relevant: Many of the more worrying impacts of climate change really are symptoms of mismanagement and underdevelopment. I reckoned that putting my name on such a document would not be credible – my opinions are well-known – and I withdrew. The SPM, drafted by the scholars of the IPCC, is rewritten by delegates of the governments of the world, in this case in a week-long session in Yokohama. Some of these delegates are scholars, others are not. The Irish delegate, for instance, thinks that unmitigated climate change would put us on a highway to hell, referring, I believe, to an AC/DC song rather than a learned paper. Other delegations have a political agenda too. The international climate negotiations of 2013 in Warsaw concluded that poor countries might be entitled to compensation for the impacts of climate change. It stands to reason that the IPCC would be asked to assess the size of those impacts and hence the compensation package. This led to an undignified bidding war among delegations – my country is more vulnerable than yours – that descended into farce when landlocked countries vigorously protested that they too would suffer from sea level rise. Many countries send a single person delegation. Some countries can afford to send many delegates. They work in shifts, exhausting the other delegations with endless discussions about trivia, so that all important decisions are made in the final night with only a few delegations left standing. The IPCC authors, who technically have the right to veto text that contradicts their chapter, suffer from tiredness too. This shows. The SPM omits that better cultivars and improved irrigation increase crop yields. It shows the impact of sea level rise on the most vulnerable country, but does not mention the average. It emphasize the impacts of increased heat stress but downplays reduced cold stress. It warns about poverty traps, violent conflict and mass migration without much support in the literature. The media, of course, exaggerated further.